I’m so excited to have a special giveaway for you just in time for Christmas! 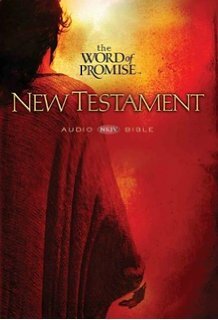 If you sign up to follow my blog (www.TaraJohnsonauthor.wordpress.com), follow me on Twitter (https://twitter.com/TaraMinistry) or share my blog on Facebook, you’ll be entered for a chance to win the Word of Promise Audio New Testament!!! This is one of my favorite ways to soak in God’s Word. We play our CDs continually and the Word of Promise features some amazing actors voicing the great men and women from the Bible (including Jim Caviezel as Jesus).